It’s Monster Energy Supercross Season, which means five months worth of superstar, over-the-top, bone-crushing, high octane competition in 17 cities. This is the kind of stuff that leaves wives and girlfriends in tears, either from tragedy or triumph, as racing heroes compete for the top honors in a sport born on back roads. 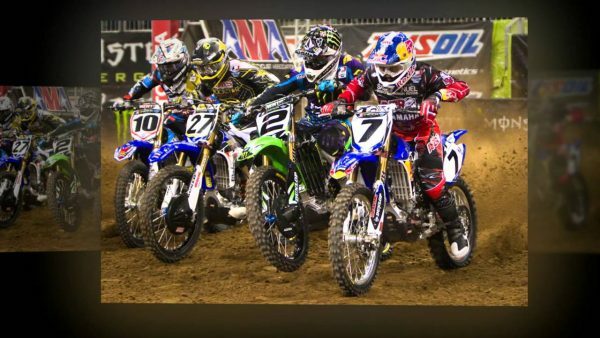 Since its inception supercross season has grown into a multi-million dollar enterprise, dazzling millions each year. Of course, there’s a specific magic in the heat-baked dirt world, where guys who seem to have been born on bikes make a game out of winning, and seem to defy the laws of physics. This year, Ken Roczen’s much anticipated move from RCH Racing to HRC Honda, and Cooper Webb’s transition to the 450SX Class, along with Ryan Dungey’s drive to title No. 4 will dominate the drama leading into the season. All the action starts January 7 in Anaheim, Calif., culminated finally on May 8 in Las Vegas. Along the way, fans can track the series as it travels through Texas, Georgia, Utah, Washinton and Missouri, to name a few. For some fans, the series is as gigantic as the World Cup, the Olympics and the Superbowl. But only those with a solid appreciation for the very real dangers and high-stakes can get behind the contests. Bones will break. Bikes will collide. Fights will break out, women will scream, and some will come from nowhere to surprise everyone. Others will lose it all with just one bad landing. And of course, it will be loud.